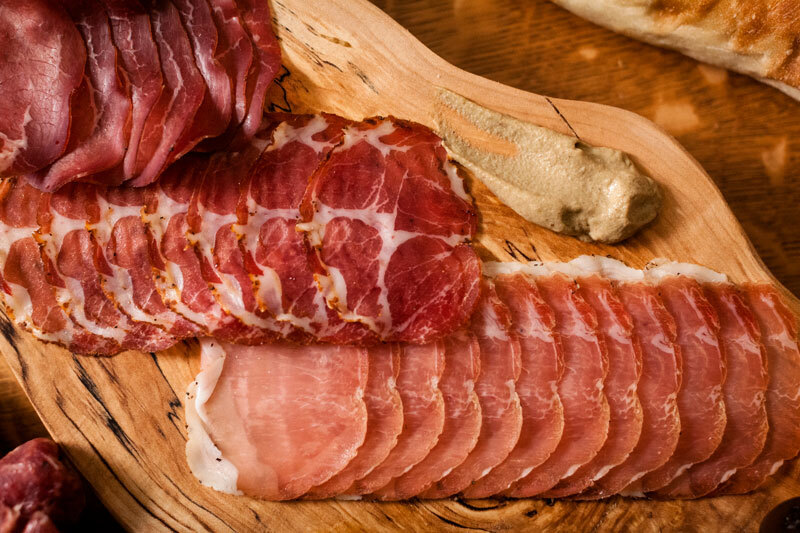 It’s not cheese but the mouth waters at the sight of charcuterie from Seed to Sausage. 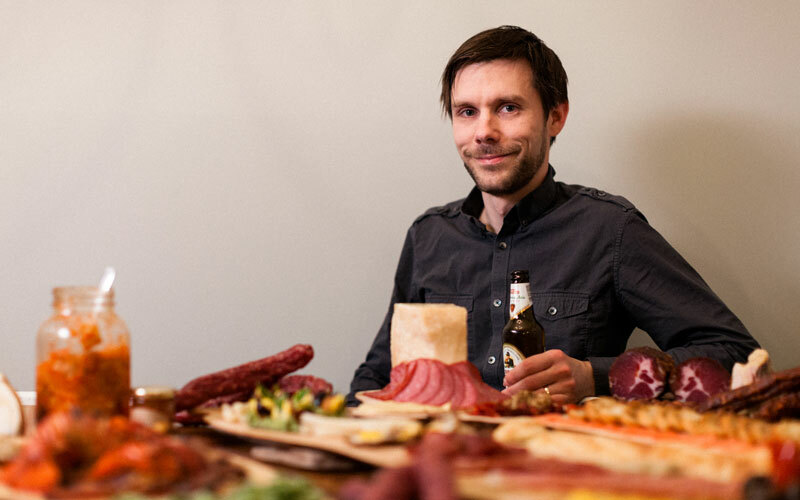 Michael McKenzie, owner and chief salumi maker of Seed to Sausage, is one of hundreds of businesses around the world paying tribute to Food Revolution Day, an international movement sponsored by the Jamie Oliver Foundation to inspire change in people’s food habits. This Saturday, May 19, McKenzie hosts a food festival in Sharbot Lake, Ontario, featuring hand-crafted artisan salumi and deli meats from his charcuterie, fire-roasted lamb and pork, artisan pizza, local and area artisan cheese, fresh oysters, micro-beer and local wine. “I wanted to do something special to mark the opening of our retail operation and what better way than to recognize Food Revolution Day and celebrate the joy of eating wonderful food with your friends, family and those who have helped support us over the last year,” says McKenzie. The event runs from 11 a.m. until 4 p.m. and will move indoors in the event of rain. Joining McKenzie are a host of well-known chefs and from Kingston and Ottawa, including Kingston Chef Derek MacGregor of Chien Noir and Chef Stev George of Olivea who will prepare whole roasted lamb and pork. Also in attendance is The Whales Bone Oyster House from Ottawa who will be shucking oysters, Kyle Christofferson, Chef de Cuisine of Brookstreet Ottawa will be running a food truck, St. Amboise microbrewery from Montreal and Sandbanks Winery from Prince Edward County. Food and beverage prices will range from $5 to $10. Sharbot Lake Community Living will volunteer to help out during the event. Seed to Sausage is located at 12821 Highway 38 in Sharbot Lake, 10 km south of Highway 7, 60 km north of Kingston, 130 km west of Ottawa and 100 km east of Belleville. Since starting his enterprise in 2011, McKenzie has discovered that he is ideally situated to service his customers in Ottawa, Kingston and Toronto. “This is a wonderful location as it also allows me to purchase pork and other meat products from within a 100 mile radius,” he says. Michael McKenzie, chief salumi maker and proprietor, Seed to Sausage. Photos by Tim Forbes. He is an enthusiastic supporter of a unique eastern Ontario economic development partnership called Food and Beverage (FAB) region that involves the counties of Hastings, Lennox & Addington, and Prince Edward and the Frontenac Community Futures Development Corporation (FCFDC). Seed to Sausage sells a range of hand-crafted cured meats including speciality items such as pancetta, guanciale, fermented salumi, bacon and deli-style meats. The company wholesales to 35 restaurants and specialty shops in Ottawa, Kingston, Perth and Toronto and will operate its retail shop over the summer months. To learn more about the company, visit www.seedtosausage.ca. More information about the FAB region can be found at www.fabregion.ca. If you cannot make it to Sharbot Lake, Seed to Sausage is a Featured Artisan Producer at the upcoming Great Canadian Cheese Festival in Picton, Ontario. Food and Beverage (FAB) region is Gold Sponsor of the Festival and will also have a booth to offer information on its initiatives. Significant Other's own take on Impossible Vegetable Pie. 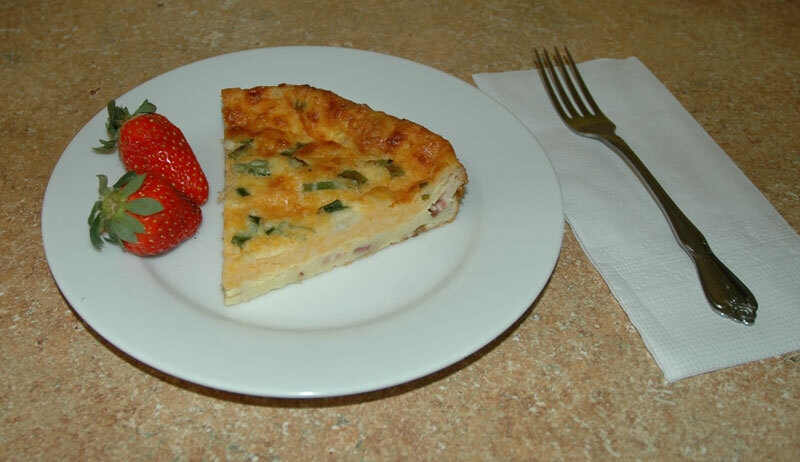 For breakfast the other day, SO pulled the Cracker Barrel from the cheese bin and and put her own spin on an Impossible Vegetable Pie recipe she found at About.com. She used double-smoked bacon, carmelized onions, two cups of cheddar rather one, and only green onion instead of broccoli as that’s all there was in the fridge at that moment. The result was delicious. She promises to try other variations of the recipe, using other cheeses, but always with at least a sprinkle of orange cheddar on top for that golden brown look. We may try five-year Wilton on top just to see if one can taste the difference. 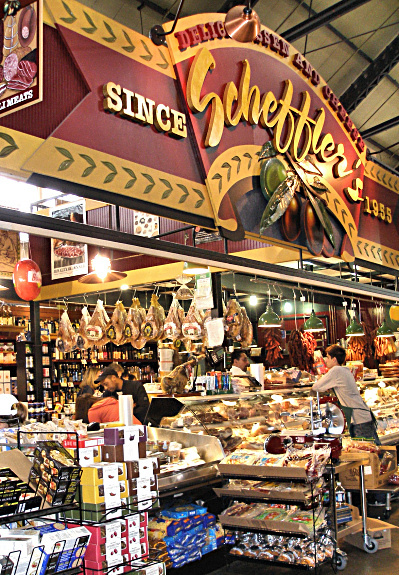 Scheffler's at St. Lawrence Market. Footnote for charcuterie buffs: After years of enjoying bacon smoked by Astra Meat Products on Toronto’s Bloor West Village, we have switched our allegiance to Scheffler’s Delicatessen & Cheese in St. Lawrence Market where, incidentally, we used to shop 25 years ago when it was still owned by Rudy Scheffler. Scheffler’s bacon is not as lean as Astra’s but its double-smoke taste is heavenly. The bonus of shopping at Scheffler’s is that owners Odysseas and Sandra Gounalakis are friendly, believe in customer service and their cheese selection rivals strictly cheese shops.